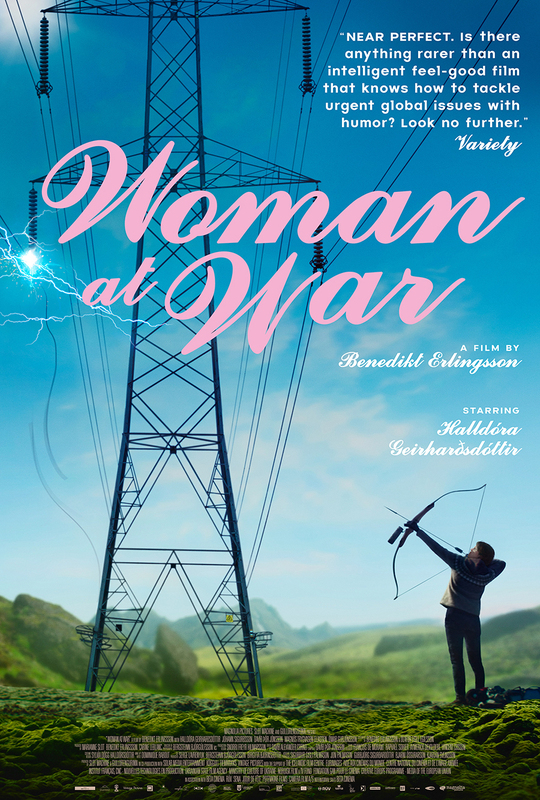 Filmworks presents the absurdist, feel-good drama “Woman at War,” a critical favorite at the Cannes Film Festival and Iceland’s selection for a 2019 Oscar for Best Foreign Language Film. The sophomore feature from filmmaker Benedikt Erlingsson tells the story of Halla, who leads a double life: her innocuous neighborhood persona, and her secret saboteur alias, “The Woman of the Mountain,” as she’s been dubbed by the local press. Halla causes trouble for a cause, blurring the line between passionate environmentalism and eco-terrorism. Her environmental crusade becomes complicated with the news that her long-awaited adoption application has finally been approved. Halla is prepared to abandon her extreme activism and do what she must to prepare for the adoption of a Ukrainian child, but only after she delivers one last crippling blow to Iceland’s aluminum industry. Advance tickets cost $10 general and $8 for students and seniors, and they can be purchased by check or cash at the Tower Theatre box office, 809 E. Olive Ave. Go online to FresnoFilmworks.org for tickets and details.